Article & Photos by Henry Doktorski. Published in Allegheny West Magazine (June 2009). Connor Britton ponders his next move. North Fayette Township, Pennsylvania: The North Fayette Township Department of Parks and Recreation hosted their first Chess4Kidz Class & Tournament at the North Fayette Township Community Center. Students completed the ten-week course on April 27 when they played the last round of games and participated in an Awards Ceremony in which Mr. Bob Brozovich, Director of Parks and Recreation, handed out certificates and a trophy. Chess Instructor and North Fayette Township resident Henry Doktorski said he attempts not only to teach his students skills to help them better battle an opponent on the chessboard, but also teach them self-discipline which, he said, can help develop mental and moral strength. Henry spoke about his favorite game, “Chess is not simply a game for idle amusement; it has been recognized as a valuable tool for developing the mind and character. During the Middle Ages, all educated and cultured gentlemen were expected to know how to play chess. Today, chess is one of the world’s most popular games; it played competitively by millions, and it is taught in many schools and military academies,” he said, adding, “I encourage my students to develop self-discipline. For instance, when they touch a piece, they must move it (USCF Tournament Rules, VIII-2). This teaches them to think before they act, and if they move a piece in haste, they must suffer the consequences of their own impatience. In other words, they learn that they are responsible for their own success and failure,” he continued. Henry noted that good sportsmanship is also very important. “I instruct them not to gloat if they win or pout if they lose, but to shake hands with their opponent and congratulate them: ‘Good game!’ Although I encourage my students to be cunning and merciless on the chessboard, they must be kind and respectful in their manners,” he said. 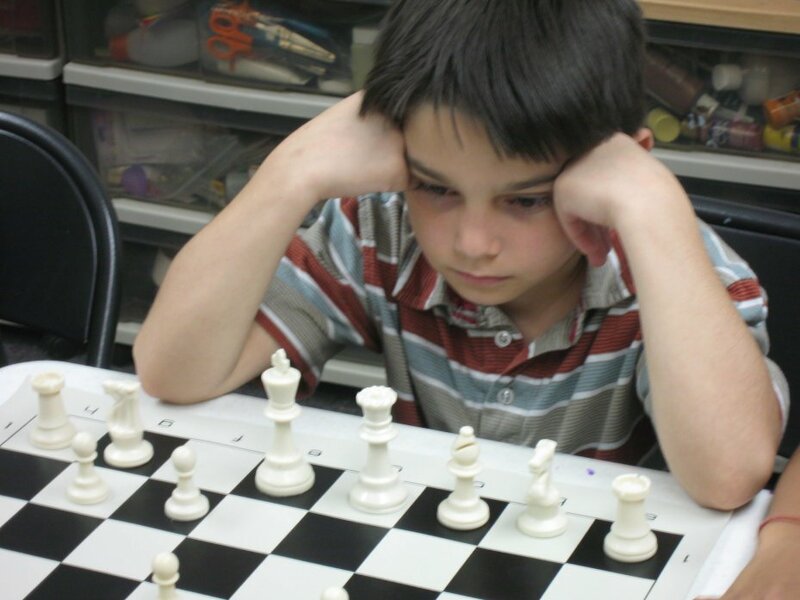 Battles on the chessboard can evoke a wide range of emotions; during the course of a game a player might experience anxiety, suspense, elation, fear, panic, and even sometimes boredom (if an opponent takes too long to move, for instance) but Doktorski encourages his students to keep a cool head. Sometimes younger students cry if they lose a game, but they quickly recover their composure, pick themselves up and continue on.